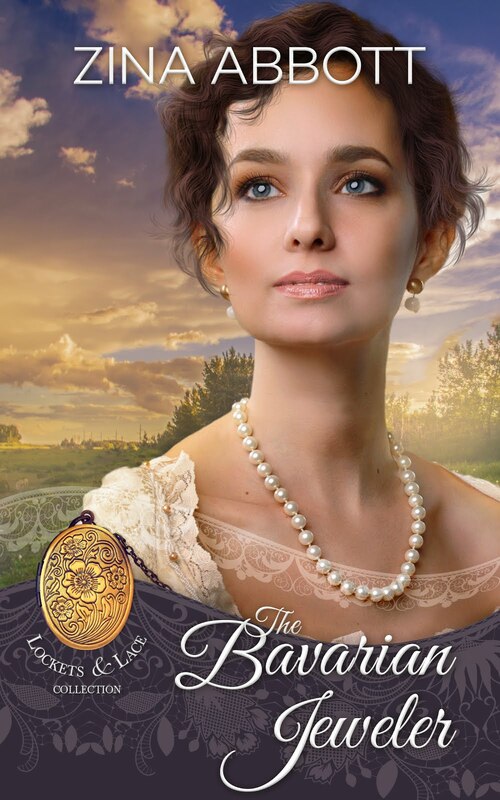 Sweet Americana Sweethearts: Bring on the Coffee! Hi, Kit Morgan here and today we're going to talk about that wonderful elixir of life, coffee! Who hasn't pictured a cowboy or two sitting around a campfire with a cup of coffee in their hand? 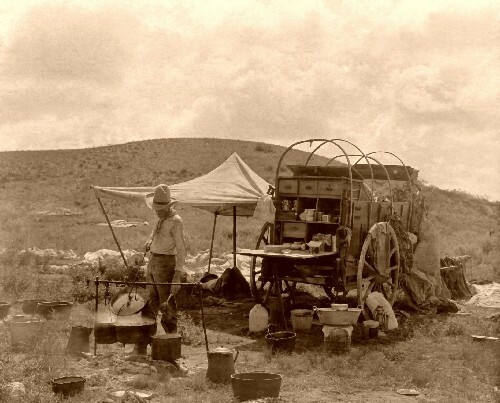 Did you know that the first real modern coffee in the wild West was Folgers? Yes, you read that right. Folgers Coffee came West with the gold prospectors heading to California. 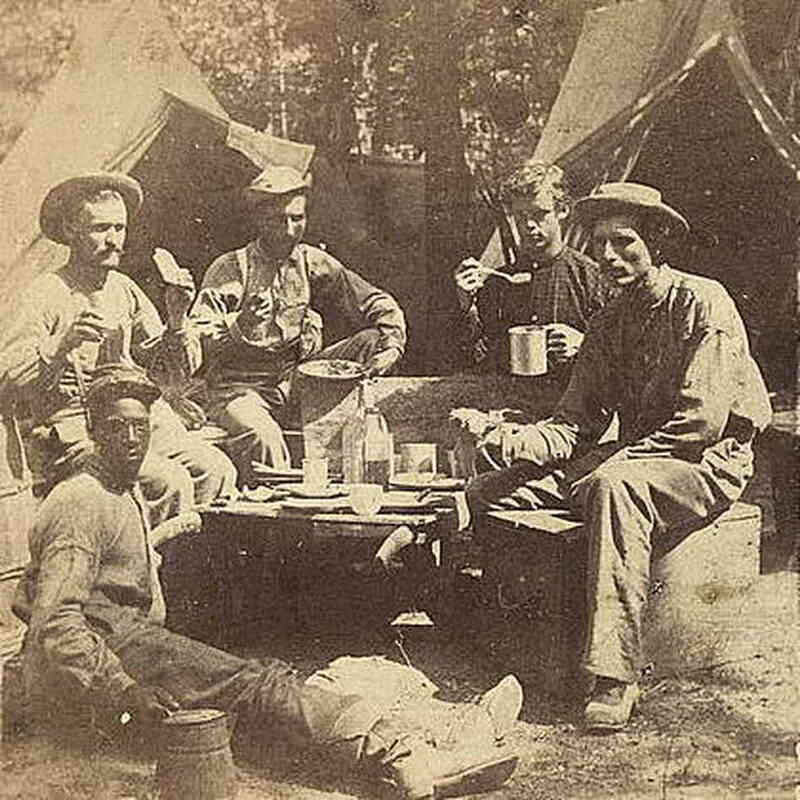 Folgers, however, wasn't the only coffee in the old West. There was also Arbuckles which, much to Folger's dismay, gave them a run their money. Arbuckles managed to perfect a way to preserve beans using an egg and sugar wash so that the coffee stayed fresh out in them thar hills. Not to mention on the way there. Arbuckles wasn't only innovative in their preservation techniques, but their advertising as well. Specifically in the wild West. They used coupons and trading cards to promote their brand and the coupons could be redeemed for merchandise. If you wanted coffee in the wild West, you had to work at it. You see, coffee often had to be roasted first. Green beans would be roasted in an open skillet, put into a bag and crushed. Usually with the handle of an ax or a wagon jack. Then the ground beans were put in a coffee pot and placed on the fire. Once the coffee had boiled for a time, you could enjoy a robust satisfying cup out on the prairie. Or wherever you might be. Coffee was a very important staple for pioneers, townspeople, ranchers and farmers alike. just as we do today. And to think back then they had no Starbucks! The Oregon Trail was a hard one, and coffee was one of the few true luxuries pioneers could enjoy before traveling miles each day over rugged terrain and unforgiving mountain passes. 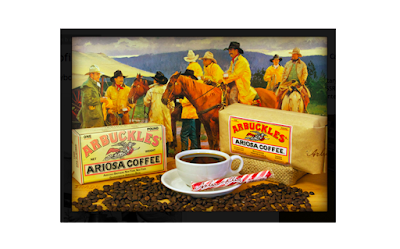 "Cowboy coffee" as some call it, is still appreciated and as much a part of our history as gunfights at high noon, cowboys and gunslingers. The way a lot of folks prepare coffee today is much the same as our forefathers did whenever they wanted a cup in the wild West!